Refined, luxurious, fearless, bespoke and completely of the moment. These are the essential elements of The Interior Designer. The Interior Designer interiors are bold statements balanced by quiet details, the dark accents in a white room, the well-defined edge that contains a surprise of colour. From idea to installation, we devote ourselves to telling a story within every space, from the broad narrative to the smallest most evocative details. Our clients may be nation-wide, however regardless of how big or small a project is, The Interior Designer strives to use our significant depth of experience, to ensure our clients satisfaction, each and every time. 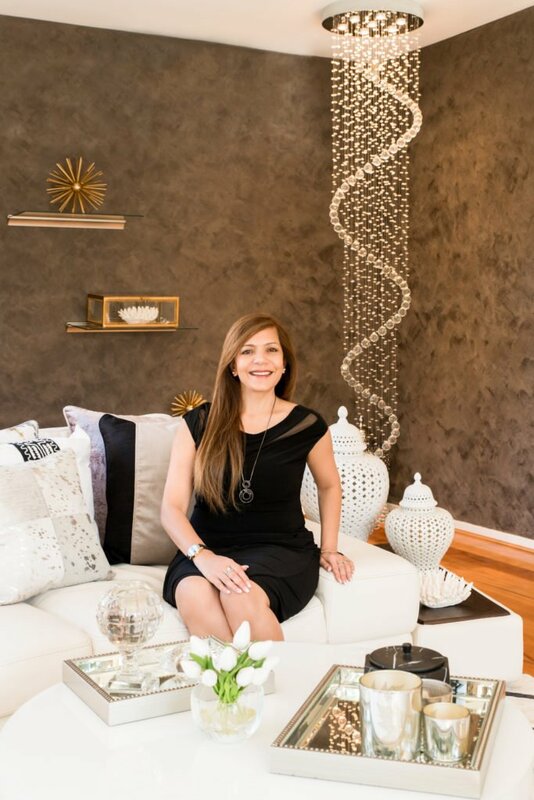 “I create interiors that feel comfortably sophisticated, rich and relaxed all at once. Interiors that inspire you daily through shades, tones, harmony and contrasts. Interiors that truly feel like home. Accolades aside, my greatest satisfaction comes from creating homes that are comfortable, tactile and inviting to live in and embody the personalities of my fantastic clients. Recognising that each interior is a reflection of the homeowners’ personal lifestyle, Seema will work closely with you to be certain that your interests, taste and budget requirements are considered every step of the way. Seema’s design style range from classic to innovative, and she works collaboratively with each client to develop a unique expression and personalise and enrich their home environment. Seema’s interior design is always a tribute to individual personality and style. Seema encourages her clients to be true to themselves, revel in what makes their soul shine and surround themselves with pieces, art and objects that reflect that happiness and joy. Offering a highly personalised bespoke service, we place great importance and commitment to building strong client relationships with a focus on tailoring our process to meet each clients’ needs. We offer our clients a personal and seamless interior design experience.